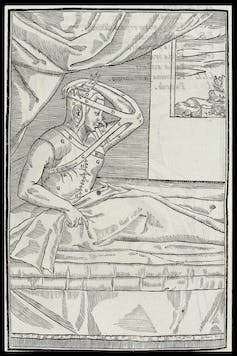 The link below is to an infographic/timeline of the history of medical technology. Surgeries and treatments come and go. A new BMJ guideline, for example, makes “strong recommendations” against the use of arthroscopic surgery for certain knee conditions. 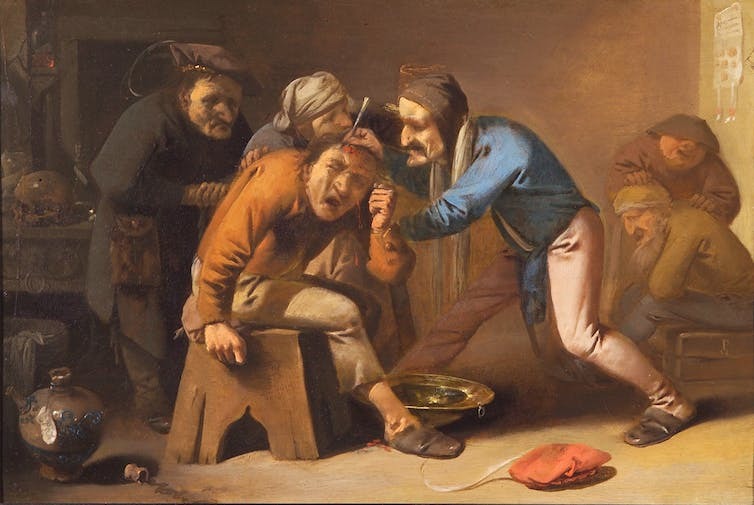 But while this key-hole surgery may slowly be scrapped in some cases due to its ineffectiveness, a number of historic “cures” fell out of favour because they were more akin to a method of torture. Here are five of the most extraordinary and unpleasant. 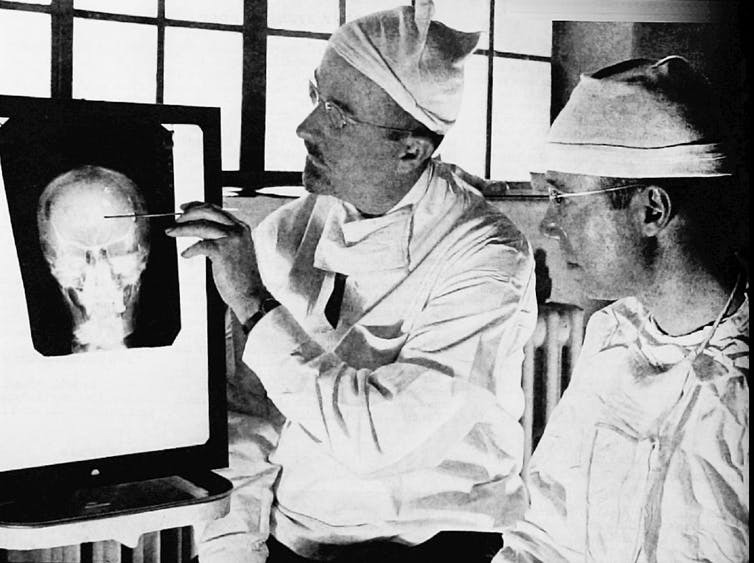 Walter Freeman (left) and James Watts study an x-ray prior to conducting ‘psychosurgery’. 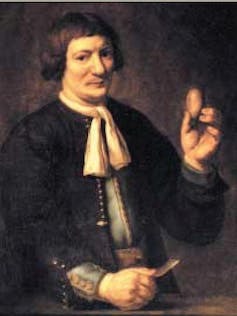 This Dutch blacksmith, Jan de Doot, removed his own bladder stone. 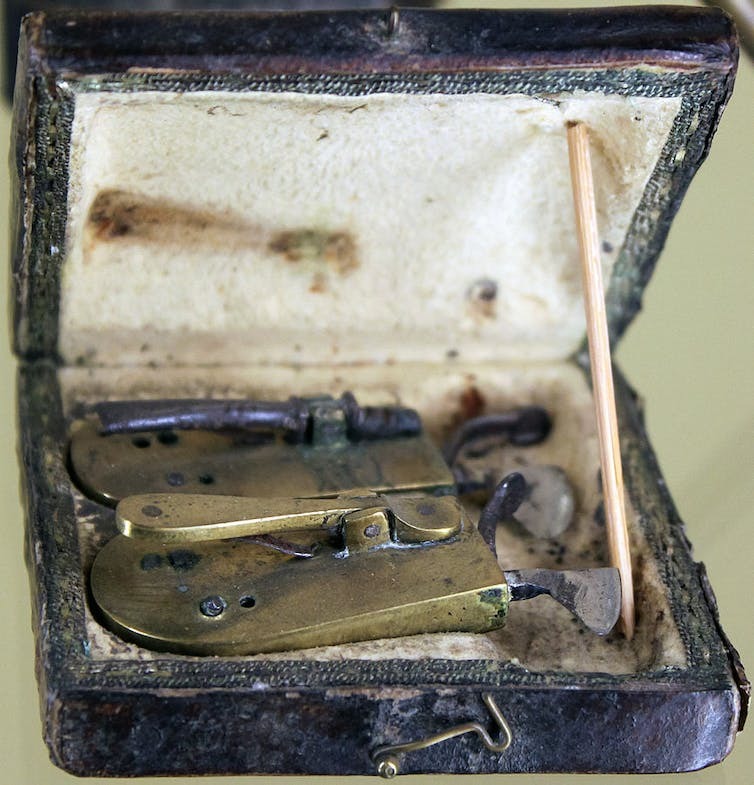 A barber surgeon’s bloodletting set. The link below is to an article reporting on medical advances made during the US Civil War. The article linked to below is an interesting one on grave robbing in England during the 18th century. What the grave robbers were after were bodies, so that medical students had something to dissect.